Will cleaning my carpet make it soil faster? What do I need to do before ReNew arrives? Does Renew move all furniture from areas to be cleaned? How long do I need to stay off the carpet? The #1 Van-Powered Carpet & Fabric Cleaning System. 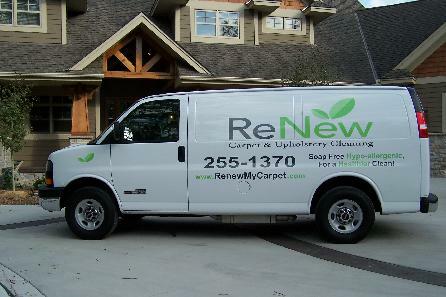 Located in Sartell, Minnesota ReNew Carpet & Upholstery Cleaning has been successfully serving the St. Cloud metro area since 1989. It is our mission to help you maintain the cleanest, healthiest home and office environment benefiting you, your family, friends and pets. ReNew Carpet & Upholstery Cleaning uses a uniquely safe and effective pre-spray cleaning solution called Procyon. This product is soap free, all natural and non-toxic . It contains no detergents, bleaches, enzymes or dyes; giving you a clean that is safe for family and pets as well as the environment. Regular carpet & upholstery cleaning will help create a healthier indoor environment by removing accumulated dirt, dust and allergens that normal vacuuming may leave behind. off-gassing. Made with all natural ingredients, Procyon is one of the safest on the market today. Procyon has been used to clean the White House, Air Force One, Disney World, the Pentagon, The Environmental Protection Agency, Hospitals, Allergenic Clinics, Schools, Restaurants, and more. 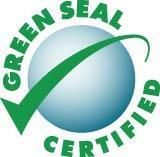 ReNew Carpet & Upholstery Cleaning for a healthier clean · 320-255-1370 · 816 Edinburgh St. Sartell, MN. 56377 Copyright© 2014 All Rights Reserved.